I’ve always enjoyed photos.The past number of years it seems I’m developing a keener appreciation for this art form. Especially when it comes to older gems.Pictures have helped in constructing my newest title Sonnets in Waking Moments.I will always be a student of history and things of the past, truthfully tradition and such fascinates me.Photos tell a story, that is if we are observant enough. When there is no story or conversation piece to guide you the visual image is powerful.I’m trying to connect all the things I like,dislikes too and incorporate them into my work. This photo is an old one ,not sure of the date but its a poignant reminder of our history. 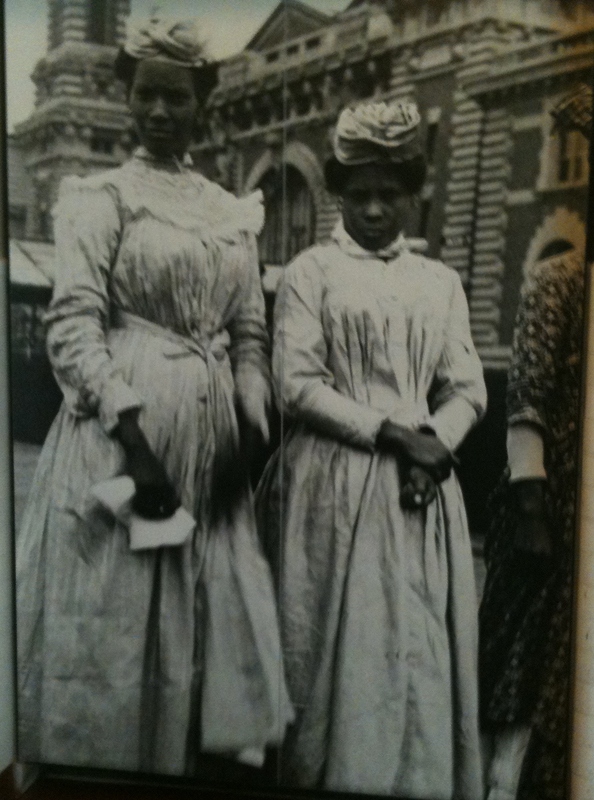 I think there is a quiet dignity about the two women.I like this one very much because of what it captures,a unique time in history,imagery, class, race and gender are portrayed here.